um, I appreciate everyone's passion in getting pissed at this, and share that feeling in the short run -- it is definitely an obtuse move that will reduce tournament attendance and cause a few people to cash out -- but. . .
How is this anything but the final signal that they are GOING to print a paper Vintage and Legacy Masters? I mean why would they even think of this if they weren't planning on making a move in that direction. It's the next logical step after proving that vintage online is popular: enforce proxy rules at LGS's to discourage unproxied events so that people will be encouraged to buy paper vintage when it's available. They would have to do this ahead of the release to give it time to stabilize. I mean they aren't stupid over at Wizards. Inefficient, clumsy, sure, but not stupid. And they mostly play magic and are passionate about the game. Anybody above a third grade reading level could predict this fallout. I'd give them more credit and say this announcement is a measured decision and that Vintage Masters is definitely on its way. Give it 18 months at most. I don't come to that conclusion at all. Wizards and the DCI have long standing rules of what santioned tournament standards are, along with other rules for being a TO. I see zero logic behind this being a move to eliminate the reserve list and print a vintage masters. I could see a legacy masters, with cards like wasteland, force of will, rishadan port, and fetch lands that does not include cards from the reserve list. But drawing a conclusion that Vintage Masters is coming because a TO was told to play by the rules just doesn't follow reason. Also, if Wizards did break the reserve list, there would be lawsuits. False advertising, breach of contract - anyone monetarily hurt by that would have a claim to a class action lawsuit. Not going to happen. If Zach Jesse and the judges who recently got banned had the money to file a lawsuit, they should because they could win. Zach Jesse having his pro tour invitation revoked is materially affecting enough that he could win a 6 figure settlement for loss of wages, if he claimed Magic as a professional career. 1. re: "I see zero logic." What about the logic I just laid out? It is a logic. Is collectors edition considered proxies? It's pretty obvious they want people to play Vintage and Legacy online instead. This crackdown is an existential threat to Vintage and Legacy. There are already several reports of stores who have affirmed that they will no longer run proxy tournaments. I can't envisage a zero-proxy future where Vintage remains vibrant; the format will be reduced to MTGO and a handful of yearly tournaments run by volunteers unassociated with any LGS and who do not fear being blackballed by WotC. It makes perfect sense for WotC to lay out a zero-tolerance policy for sanctioned tournaments, but forbidding unsanctioned proxy tournaments is mind-boggling to me. The very few times that I buy WotC product is when I am in an LGS playing proxy Vintage. I respect and appreciate WOTC's interest in protecting it's intellectual property, but my understanding is that deception is an inherent element of a counterfeit claim. A proxy is by definition not a counterfeit for that reason - there is no intent to deceive. Not that any store would go to this length to preserve the ability to offer vintage proxy tournaments, but couldn't they just create a subsidiary business that their parent company leases space to for gaming? First is an important clarification: Proxy cards are substitute cards created solely by judges in sanctioned tournaments. These substitutes are allowed when authorized game cards become unplayable during a sanctioned tournament because of damage or excessive wear. Unauthorized reproductions of our game are a type of counterfeit, and we want business partners to help us in discouraging counterfeit Magic. I know that feels crazy, that we regard marker on a card as a counterfeit, but remove the visual accuracy from the judgment – they serve identical purposes when it comes to game play. I added italics to highlight the important stuff. I wouldn't worry about this AT ALL. We just proxy a different word for our proxies. Just don't use the word proxy. But I am far from an expert in WOTC legalese. I wonder how this relates to shops paying out all the tournament fees in prices, technically they wouldn't run for profit tournaments then, would they? Just wanted to add that Will Magrann is not the only exception. I was able to build up a collection over time by saving and now play without proxies. Although to be fair, I did it before the most recent spike. I can't thank the NE community enough for helping me along. To anybody still getting it together, know that the community is certainly willing to help! I second this. There are a lot of good people and resources out there, and while it will never be cheap, it can still be relatively cheap. I'm not sure how they could make it any clearer. They are killing proxy tournaments. The fact that they are doing this now, after over a decade of proxy tournaments being in existence, and coincidental with Eternal formats being playable online, is entirely unsurprising. Clearly there are a lot of moving parts right now, but NYSE Open IV is still scheduled. I will do all I can to ensure that the event fires. I have a lot of time, effort, and money invested in the success of this event already. You're a good man, Hrishi, and another great example. At some level, I think the old guard is obligated to do what they can to help the new pilots get into the format. I've done layaway on power before, and I will again. I've lent out a fortune in cards, and I will again. Getting in isn't easy, and those of us who have been around for a while benefited from the (now) cheap prices on everything, and we also benefit from being further along in our careers than those who are just getting in. I have a few people in mind when I think about Vintage being inaccessible right now, and there are two of them for whom I would go to considerable lengths to ensure their ability to play. If we all 'adopted' a new pilot, and did what we could to ensure their ability to play, we'd manage to stem the bleeding while supporting the next generation. The last time this happened, there were several younger players who quit playing the format. I regret that I didn't do more to see if they could be kept around. Guys, for now this has been a post from a store that may or may have not misjudged Wizards policy enforcement and, maybe, nothing has changed at all. Has anyone talked to Wizards or the store? Do we know what's really going on or if this is just a false alarm? This is mind boggling. If this becomes policy becomes enforced Wizards is creating the strongest incentive possible for players without the cards to purchase actual counterfeits instead of using a sharpie to make a proxy. What is their next step then, stores lose their WPN status unless they examine all cards with a jeweler's loupe and UV light? As a community I don't think we have much of a voice to Wizards. If Steve or Rich could get Randy to talk to WOTC that seems like the only way to get our message heard. EDIT: I suspect this action is in actuality a response to the proxy modern and even standard tournaments that have been popping up. I have even heard of some stores allowing proxies at sanctioned non-vintage events (obviously this is a terrible idea). Since Wizards wants to stop this from cropping up and they can't give an exception to vintage this is what we're left with. Counterfeit cards are prohibited in sanctioned events, sounds like most people are on board with that. And based on Wizards’ Code of Conduct, we have started to ask stores not to organize unsanctioned events with counterfeit cards. And to be clear, no one we’ve communicated with recently has been suspended or punished as far as I know. We’ve talked to some stores on the difference between counterfeit and proxy cards, and are asking WPN to stores to work with us in protecting our intellectual property. Wizards wants partners in the WPN to make sure stores are welcoming environments, not use our characters in offensive images, and any number of actions that protect Magic experiences. We don’t condone counterfeit cards, and we expect stores to respect that. WPN stores are our partners and we expect them to help us protect our intellectual property. 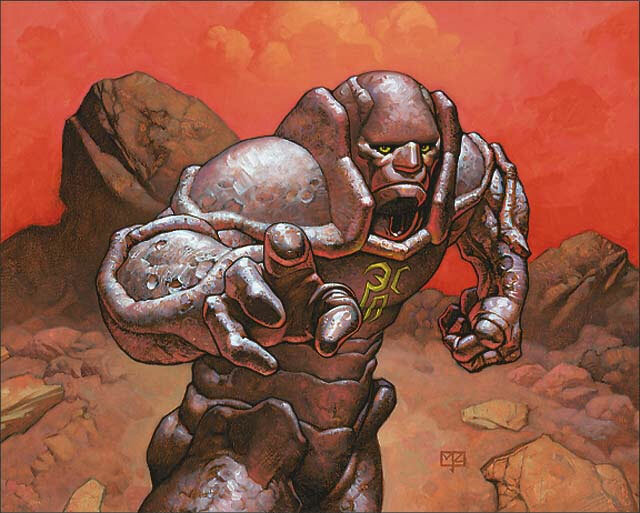 We know players love Magic and love playing its variety of formats, including Vintage and Legacy. Some formats are easier to get into than others and these two are hard. My understanding is that some foolish behavior by one store elicited a response that was intended for this specific store only and unrelated our Vintage scene. Unfortunately, this store irresponsibly created a lot of melodrama and fear by inaccurately broadening the intended scope of the message it received, drawing unwanted attention to the discrepancy between boilerplate official policy and the "wink, wink" ethos of non-enforcement with respect to the Vintage. There is no evidence that Wizards is actively on a witch hunt or has any desire to disrupt the status quo. Repeated inquiries elicited general corporate nonspeak that purports to protect IP. My instinct tells me they would prefer to not be forced into answering such questions and absent an edict to the contrary, I believe they'd prefer allow the status quo to proceed as usual for Vintage. Proxied Modern tournaments on the other hand are another issue entirely. This is my takeaway as well. I didn't have as much information as I do now when I first posted yesterday, and I think that this is all going to blow over. From what I've read, the judges are not going to be expected to enforce this. We have been given an official clarification from Paul Hagan at WOTC on the proxies issue. Stores may not conduct events, sanctioned or otherwise, that permit the use of proxies. However, stores are NOT required to police casual play by players. If players wish to play amongst one another in a tournament-like manner at the store, so long as the store has zero involvement (including no use of Event Reporter), this is not a violation. This is a relief from the initial warning that was worded in such a way as to require stores to enforce a ban on proxy use on the premises altogether, which would have been a daunting task. And also would have made playtesting needlessly difficult for players committing no infringement at all (such as with a Mountain that has "Ugin" sharpied on it).... "
If players wish to play amongst one another in a tournament-like manner at the store, so long as the store has zero involvement (including no use of Event Reporter), this is not a violation. This is an important quote I believe. Clearly states it is not a violation for people to play against one another with proxies in a "tournament-like manner" at the store. To me, that is code for unsanctioned proxy tournaments where the store is not blatantly involved, using Event Reporter to report as though it were a sanctioned event. That sounds like just about every Vintage tournament I've been to. They can't blatantly come out and say "we will not be enforcing this policy" but it's written between the lines, IMO. The question then becomes does the store offering prizes, and taking in entry fees count as 'involvement'. As a relatively new player in paper vintage I really hope that nothing bad comes of this. I just started playing investing more in paper (luckily I already owned basically everything but power), and was really looking forward to trying to acquire power over the next 2-3 years, but if proxy events are disallowed I don't know if it would be a priority over paying extra into student loan payments/car payments/vacations the way it is for me right now just due to lower player turnout to already small events. Although I have no formal statement from someone at Wizards to share, I was at a local store last night that runs Modern Tournaments and specifically asked if the owner had heard anything about this. Some weeks back he received the equivalent of a cease and desist from Wizards regarding running tournaments with Proxys. He said that the notice was timed suspiciously after a player in an event got especially salty about losing to a younger player with several Proxy's in his deck, despite allegedly agreeing to allow several players to compete with proxy's beforehand. Please keep in mind this event was advertised as no proxy, leaving wizards no reason to assume any impropriety. Moral of my story is that generally, in the vintage world proxy's are almost always assumed (number allowed perhaps varies, but you get my point..). That is not the case in Modern at all. I would go as far as to say Sanctioned Vintage needs to be more clearly advertised than Proxy vintage these days. Although anything can happen, I find it unlikely that a fully powered regular at your local store would suddenly decide to snitch on the store owner because someone sharpied up their lotus. Even though I have now seen a local example of this crack down, the circumstances by which it happened makes me feel better that my local vintage scene is not in immediate danger. What's done by the way it's worded gives latitude to a store to not be "involved" when they say flat-out there is no violation for using proxies "in a tournament-like manner at the store." If they had an issue with proxy Vintage, they would not say it's acceptable under any circumstance to play with proxies in a tournament-like manner at the store. How would they envision it even being possible for there to be a tournament on store premises without a store being somehow "involved"? Yet it's explicitly said to not be a violation. To me, this again is wink, wink, yes we take our policies seriously and Vintage as usual is fine. But people running proxy Modern and Standard and reporting it with an Event Reporter... way over the line. Lastly, as a store, how the hell do you suppose the owner is supposed to do now? Are they gonna continue to run unsanctioned vintage because YOU say that wizards have some unspoken contract with owners? Because he is to trust you rather than ACTUAL EVIDENCE of wizards threatening stores? You really think it will just be business as usual forever, when this blows over? No, people are scared, especially when their livelihood is at stake. Threaten to destroy their store, and they'll fall in line. They can either test the waters and hope wizards will still turn a blind eye, or they will stop proxies whenever they see them. Do you really think owners will bet their savings on good faith?